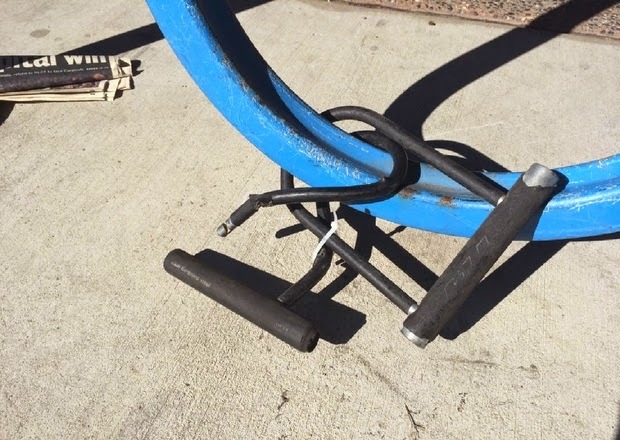 A U-Lock, twisted open with a crowbar. From CityLab -- What's going on here? I thought U-locks were the best kind of security against the evil mofos who would gank your ride. Police recommend them. Kryptonite insures them. I once lost the keys to one, and it took me 10 minutes with a Dremel to cut it off (a process that involved a broken saw wheel flying into my face). And now it seems people can bend them like Play-Doh? The MacArthur bike rack is well-lit and in sight of a station attendant. Given the short period of time my cycle was there, and the fact the thief got away with ease, I guessed it was stolen in minutes. And according to San Francisco Police Department Officer Matt Friedman, that guess is probably correct: "Two minutes," he says. "Or less, in some cases."